Comfortable, well-lighted surroundings reduce the stress of meeting with Attorneys. 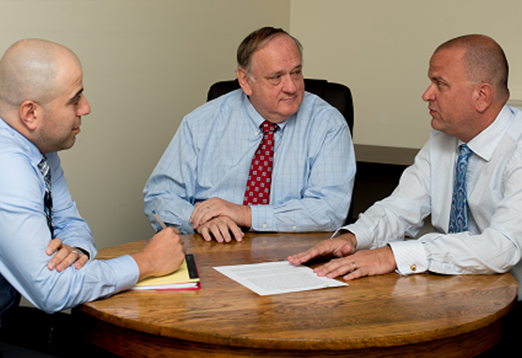 Miller Law Group attorneys understand that there’s more to practicing law than case settlements and paychecks. At the same time, we recognize that seeking an attorney can be an unfamiliar and uncomfortable process for many people. That’s why we make caring for our clients a top priority. With over 40 years’ experience, our attorneys are well-versed in the law and have taken on a wide variety of legal issues. Whether you’re starting a business or coping with a loved one’s passing, we’ll guide you every step of the way. Decisions regarding Business Formation and Type affect Estate Planning. Experienced Business Litigation and Patent and Trademark Attorneys write better Contracts than lawyers with just Contract experience because their better able to anticipate what can go wrong. You won’t find better Attorneys in Reading, Berks County, or Pennsylvania. Contact Us Online or Call Us at 610-670-9000 today. Berks Elder Network among others. Just contact our office online or by phone at 610.670.9000 for a confidential consultation.